The Roanoke Times reports that starting a few weeks from now, a solar array will provide the Salem, Virginia, Veteran Affairs Medical Center with 1,620 kilowatts of free electricity – about 10% of their power needs. Another VA hospital, in Alexandria, has a 1,995 kilowatt solar system under construction. 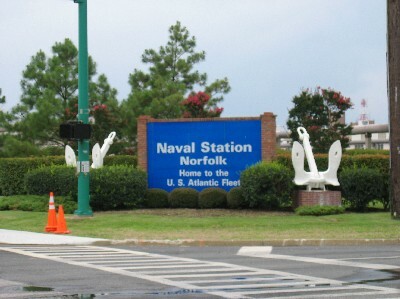 The Norfolk Naval Station gets 2100 kilowatts from its solar system. Washington and Lee University and Virginia Tech also save on electric bills with solar power (450 and 103 kilowatts, respectively). a 37.4 kilowatt solar installation for the Ernst Market in Clear Spring, Maryland (20% offset). a 15.87 kW solar array for the Town of Man, West Virginia, town hall (50%). a 5.04 kW solar system for the Beech Bottom, WV, town hall (more than 50%). So if you run a business, are concerned about your bottom line and overhead, and thought that solar electricity was just for houses, it pays to think again.